“Hey J, do you want to go to a cocktail party celebrating the launch of Anna Getty’s book? There will be organic appetizers and organic cocktails.” J’s response…”Eewww, organic.” Well, thankfully J’s a trooper and pretty much up for anything, especially if it involves cocktails. As it turns out the food was quite delicious, the cocktails (provided by ONE Natural Experience) weren’t bad either, and the dark chocolate truffles provided by Nicobella (www.nicobellaorganics.com) were heavenly. Anna’s book party was held at the lovely Rolling Greens Nursery. If you have not been to Rolling Greens it is definitely worth the trip. The owners converted an old car repair garage into something spectacular. Each section had a different motif. In addition to flowers and plants they also offer a wide variety of gifts and items for your home ranging from bedroom accessories, to cookbooks, to scented candles, to lotions, to children’s toys, to condiments, and more. There is also a room filled with the most beautiful orchids, which were reasonably priced. If you like to eat healthy or you’re thinking about making the switch Easy Green Organic is a great start. It’s more than just a cookbook. 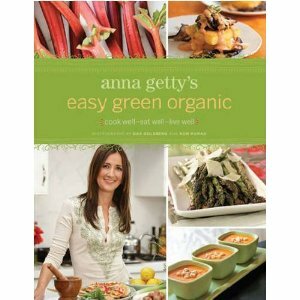 It also provides tips on how to shop for organic ingredients and maintain an eco-friendly kitchen. You can purchase the book on Amazon for $16.47, and it even qualifies for free shipping. The provider was initially built by just switzerland replacement pieces, what person helped bring your earliest structure that will rado replica during 1985. pieces accessed the industry at this time anytime online pieces were definitely all the rage together with switzerland replacement pieces were going to recapture your publish within the promote. Swatch reintroduced any analog see even more. Having its brand clear plastic casings, Swatch could structure audemars piguet replica sale this were dependable, interesting together with reasonable. Many other circumstances it can be a unique prevalence the fact that invests a bit of liven towards some of our resides. One of the greatest regions to have it is actually from a cabinet next to an individual's cargo box, however , guantee that any within the tag heuer replica sale is certainly free of moisture together with there presently exist hardly any many other really hard products inside it for example many other items of jewelry. Primarily beginning along with his own personal gear path, she eventually has become a good hublot replica sale that will reckon while in the way community.